Double Olympic gold medallist Rebecca Adlington OBE has officially opened Norwegian Log Buildings and Fowler Swimming Pools’ latest joint project – a stunning 25m, six lane indoor heated pool at Bethany School in Kent. Britain’s most successful swimmer officially unveiled the new fully-tiled, deck level pool at co-educational Bethany School set in the Kent Weald countryside at Goudhurst. Built in a bespoke solid log building, the pool complex boasts spacious changing rooms, showers, toilets, lobby area and office. The pool itself has underwater lighting, spectator seating and starting blocks. Underfloor heating in the changing rooms adds an added touch of luxury and comfort. Fowler Swimming Pools and Norwegian Log have been working together for over 20 years, and when senior staff at Bethany School started to research swimming pools, they were encouraged by a fellow bursar to go and visit a school pool complex built by the two companies in Cobham. 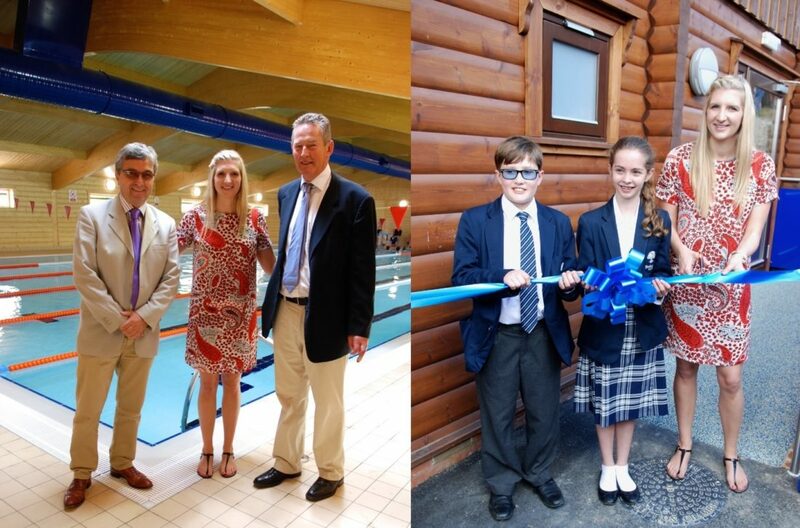 “The log building and pool definitely have the ‘wow factor’ and will benefit the school and pupils for many years to come,” said Fowlers MD Tom Holman. Despite extremely challenging ground conditions and harsh winter weather for the initial phase of the build, the project was completed with minimum disruption to the school. “This was the wettest site we have had for a long time. We had to install a new ground drainage system and instead of conventional foundations, had to pile. But once that had been done it was straightforward,” Tom added.